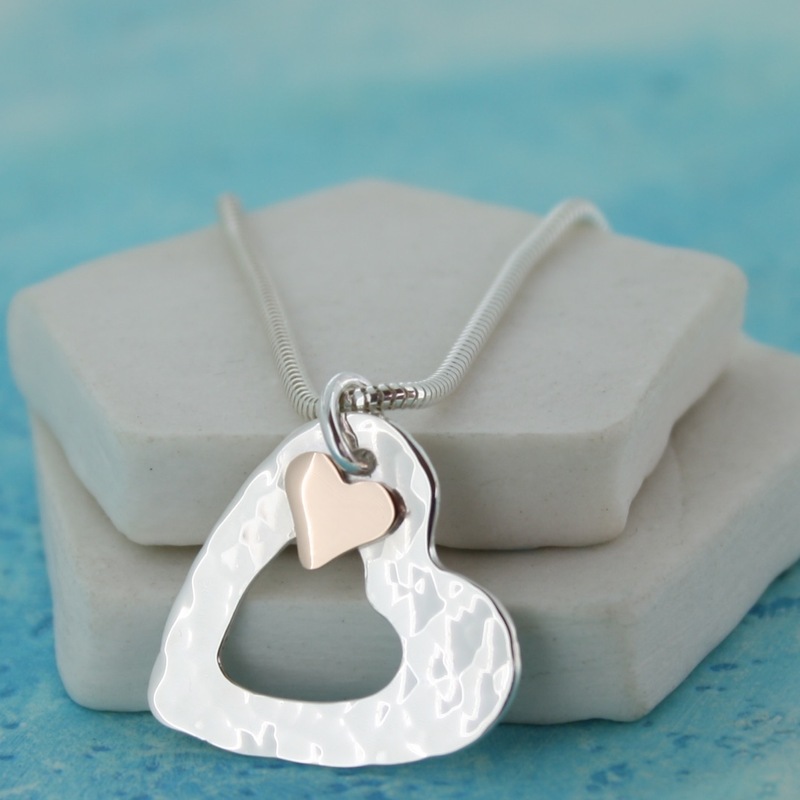 A beautiful handmade sterling silver silver heart necklace with a copper (or rose gold) heart, all wrapped up in a personalised silver foiled combined greetings card and gift box. 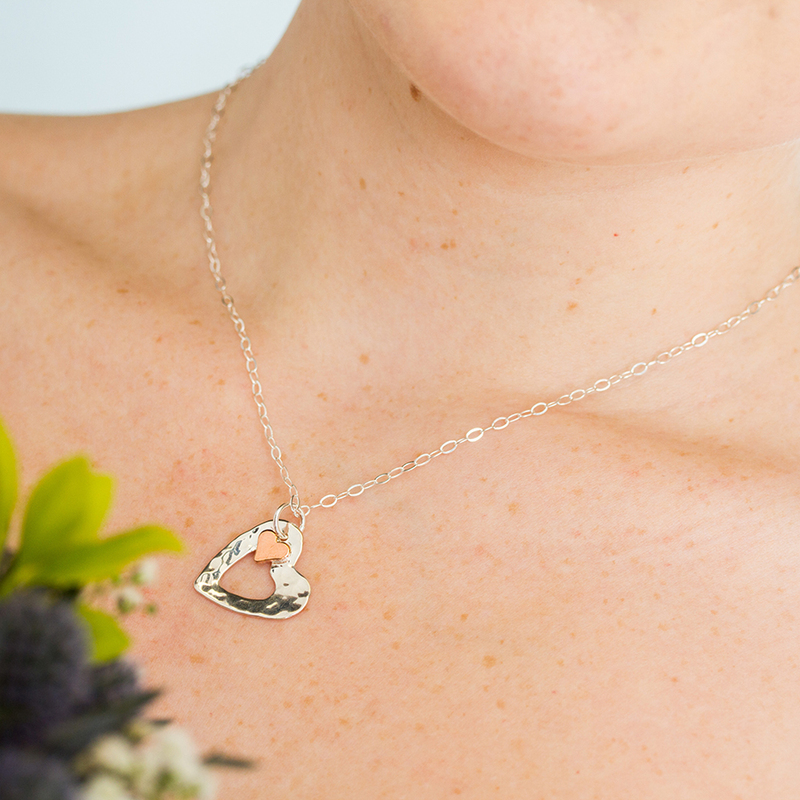 The hammered necklace is finished with a beautiful copper or rose gold heart (please select from the personalisation tab). You can personalised this gift in any way you would like with your own message on the front of the box (70 chars max), it would also make a great anniversary, birthday or Christmas gift. 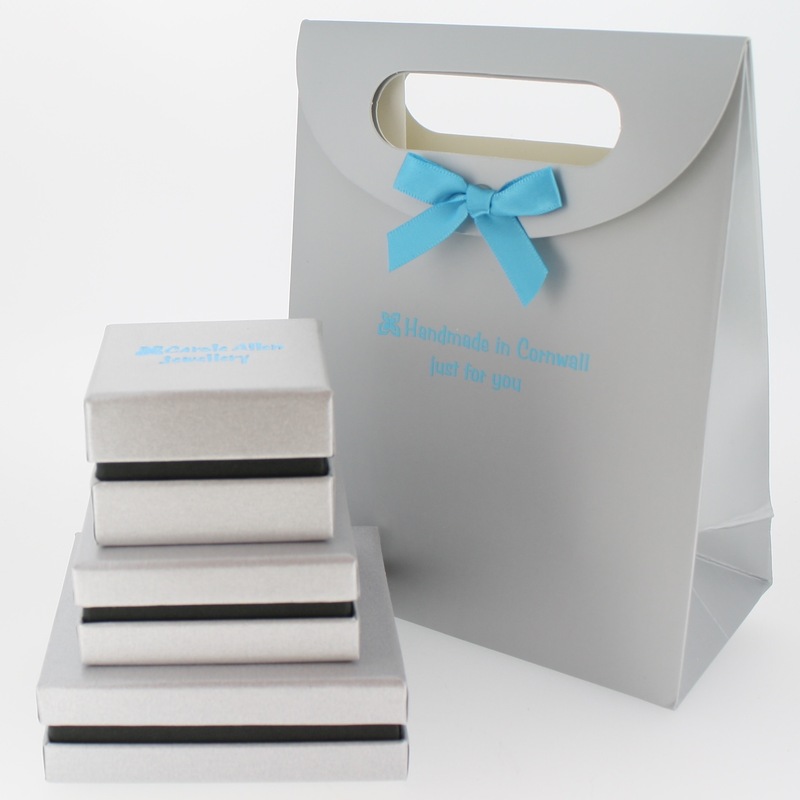 The box is presented in a beautiful sliding foil printed cover to add to the luxurious quality of this gift. 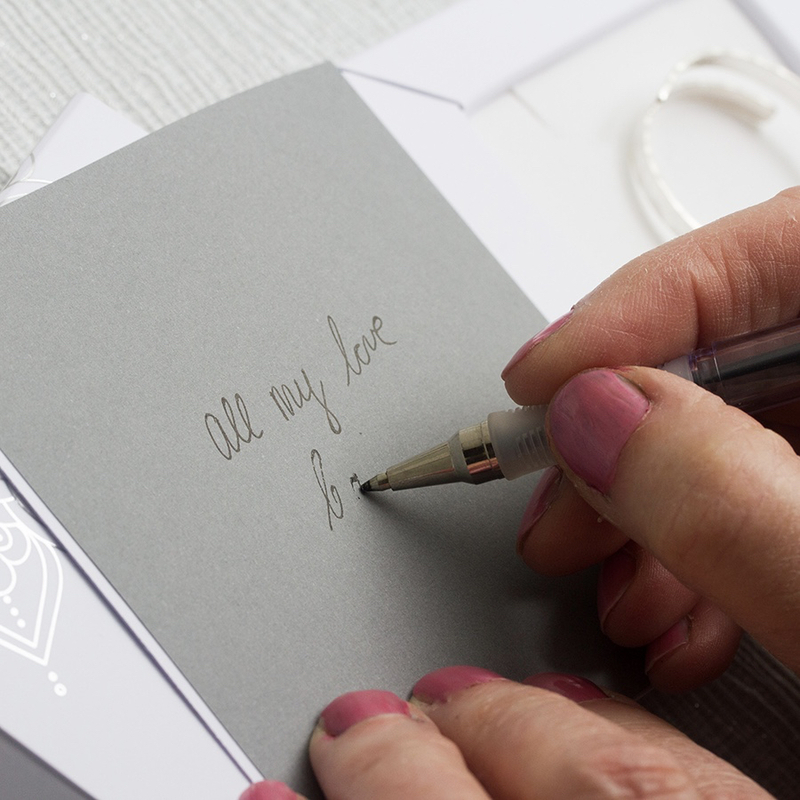 Your personalised foiled message is printed onto sophisticated grey card and the inside is left blank for you to write your own message should you wish. 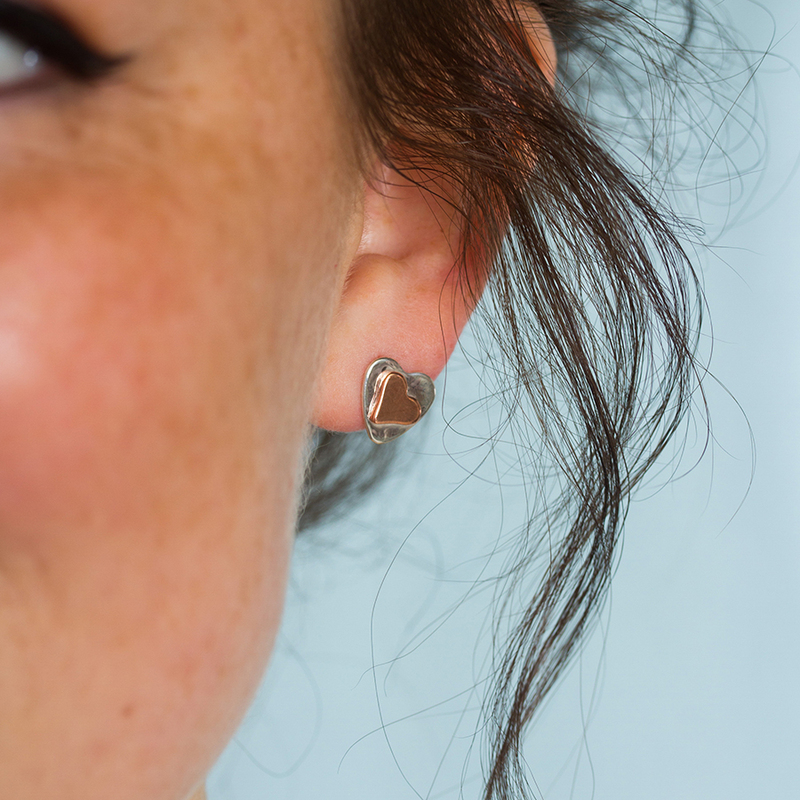 Why not buy a complete jewellery set and add matching earrings in either copper or rose gold? The heart measures approximately 20mm and you can choose either a 16? or an 18? chain. A gift bag which reads “handmade in Cornwall just for you” is provided for free. All items are handmade. Please allow at least 4 working days. Free UK delivery. International delivery available - please select this under delivery options. Free UK delivery. Although all of Carole's jewellery is handmade to order it doesn’t mean you have to wait an age to receive it. We’re proud to say that in most cases your order will be dispatched within 3 working days of order receipt. Items are sent via Royal Mail with a 1-2 day delivery time. 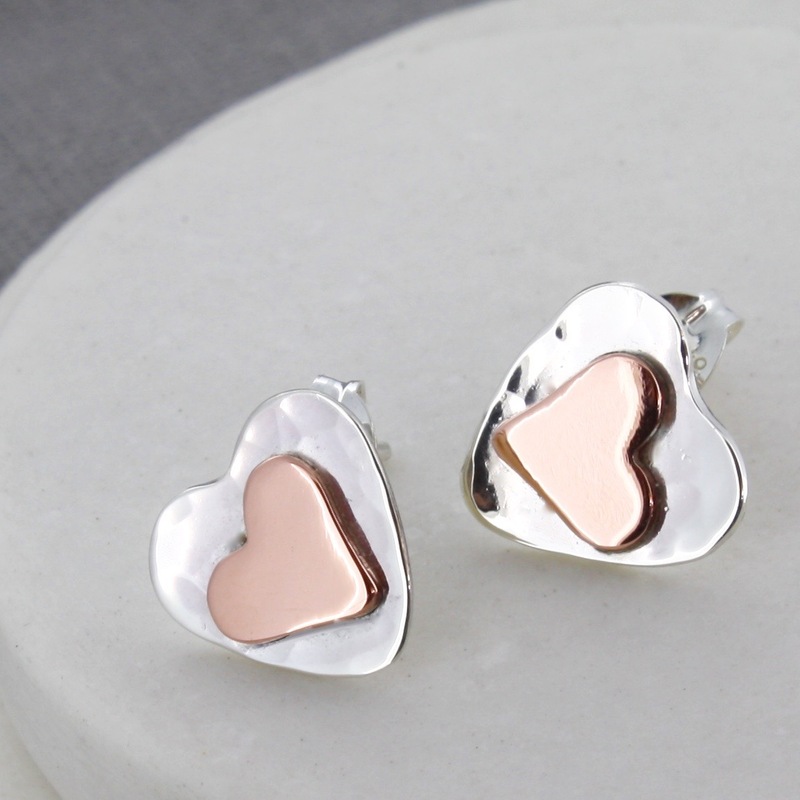 MyGiftGenie will notify you by email once your Copper/Gold Heart Necklace in Personalised Box has been dispatched.